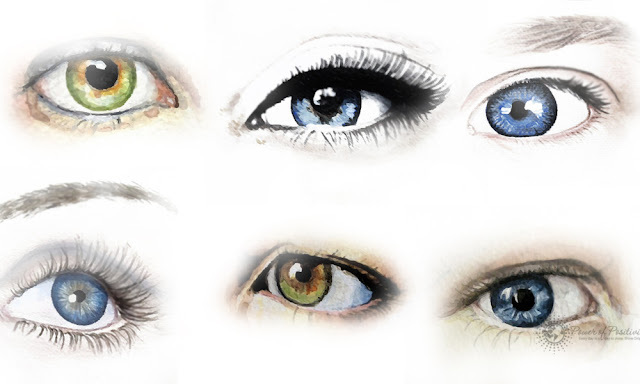 Fun & Inspiration What Do The Shape of Your Eyes Reveal About Your Personality? What Do The Shape of Your Eyes Reveal About Your Personality? Traditional Chinese Medicine uses ancient techniques in order to gather information about one’s personality, health, and even relationships using the shape of one’s eye. The shape of your eyes can reveal more about your personality than you might think, and cultures all over the world seem to believe in this type of science. While to some people, eyes look like nothing more than colorful balls that allow them to see the world, but to others, eyes truly reflect one’s soul. Below, we will go over what the size, shape, color, slant, and even distance between the eyes reveals about your personality. If you have relatively large eyes, this means you have passion, receptiveness, openness, and creativity in your personality. You feel emotions very deeply, and go through life riding on the waves of your passion rather than looking at things through a more logical manner. You can sometimes trust people too easily, so make sure you size them up accordingly before giving your whole heart (and maybe life story) away. If you have small eyes, you look at the world through a more logical, analytical lens. You believe in focus, precision, accuracy, and logic. You have high intelligence, and people come to you for answers about complicated things all the time. You pay attention to details rather than the bigger picture. Although many people might regard you as cold, they don’t realize that you do have emotions; you just don’t let yourself become carried away by them. If you have almond-shaped eyes, then you have a certain mystique and exotic flair. You have great compassion for others, and have the ability to remain calm in almost any situation. However, you can also let your wary nature keep you from doing fun things in life, so remember to sometimes take chances and not think about the details so much. You also are very observant, and have a balanced outlook on life. You have a warmth about you that just makes people want to get to know you. Round eyes mark great creativity and imagination, and you often escape reality by going inside your mind. You tend to let your emotions run the show, and make decisions based upon them. You’re an idealist through and through, which makes others see you as impractical and moody. You also have a certain charm about you which attracts others to you, even if you can seem a bit blunt and tactless at times. People with close-set eyes often follow traditions, and have a keen interest in history and cultures. Their values and upbringing mean a lot to them, and they have a hard time living in a world that often forgets about culture. They don’t do well with change, obviously, which can lead to chronic stress and anxiety. They like structure, discipline, and detail, and have incredible focus. They have a resistant nature as well, which makes it hard for them to go with the flow. Wide-set eyes mean basically the opposite – you love to explore all that life has to offer, and let nothing hold you back. You know your past, but don’t let it define you. You have eyes that see a little too far, that take you to uncharted territory and allow you to see more of the world than most people. You hate routines and inflexibility, and often wander aimlessly just to have an adventure. You are spontaneous, innovative, and fearless. If your eyes fall somewhere in the middle of these two categories, then you have a balanced approach to life. Prominent eyes look as though they bulge out, and protrude from the eye socket. On the other hand, deep-set eyes have a more sunken appearance. People with prominent eyes have great sensitivity and a friendly nature, but they tend to worry a lot. They like to stick with a close group of friends and family, as their warm-hearted nature makes it easy for them to maintain close relationships. They tend to lean toward pessimism, although most people find them highly approachable and relatable. People with deep-set eyes tend to hide much of themselves underneath the surface. They have a mysterious, brooding nature, and can seem intense and private. They love to observe their environment and often live inside their heads. They have a romantic streak, however, and will get to know you on a very deep level. Upward slanting, or cat eyes, mean that you have great ambition and drive. You don’t let anyone stop you from accomplishing a goal, and you are very open-minded and well-rounded. People find you interesting, fun, and witty. You look for opportunities wherever you go, and love to keep getting ahead in life. Others might call you selfish and self-centered, but you just see it as doing the best possible for yourself. You have great optimism that allows you to reach your goals fairly easily. You don’t give up without a fight. A downward slant obviously points to quite the opposite. These types of eyes mean that you might have a dependent nature, and like to stay close to loved ones, as you rely on them for many things. You have a timid nature as well, and people tend to take advantage of you. You also are pessimistic, which makes it hard for people to have fun around you sometimes. However, you care deeply about people, and keep friends for quite a long time.